Your Opponent's current card is Dead. 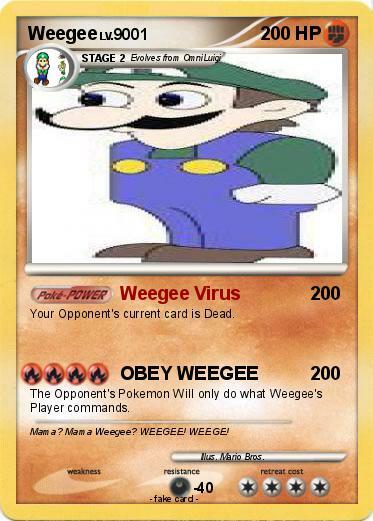 The Opponent's Pokemon Will only do what Weegee's Player commands. Comments : Mama? Mama Weegee? WEEGEE! WEEGE!